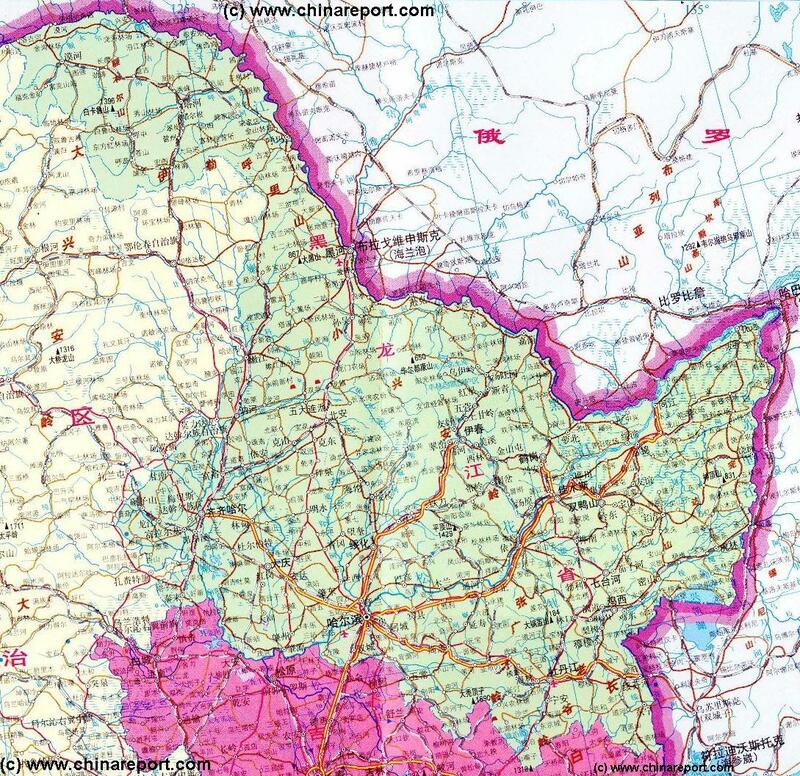 This Map gives a Geographic overview of Heilongjiang Province. The Map includes border areas of neighboring Inner-Mongolia Autonomous Region in The West, sections of the Russian Federation to the North and East, and Jilin Province in the South. Study the Map to find main population centres, towns & villages of Heilongjiang, main road & rail connections within the Province, Airports, Mountains and Mountain Ranges, main Rivers & waterways.